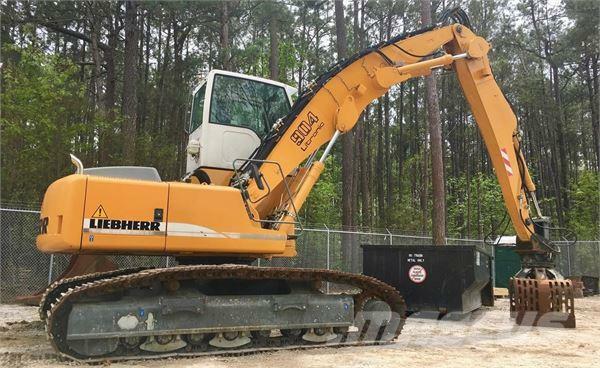 معلومات أخرى Description: 45,000 lb operating weight, Elevated Cab w/ Hydraulic Tilt forward feature for transport, Heat & A/C, Material Handling boom, Sorting Stick, Liebherr Automatic Greasing System, and Very Good U/C. Equipped w/ 2012 Kinshofer D24HD (3/4 yd3) Sorting and Demolition grapple w/ 360 degree hydraulic rotation. Excellent all around condition and appearance. Must see this one to appreciate!! !